Gardening is one of my favorite hobbies. Seriously, I could spend hours upon hours in my gardens just pruning, weeding and planting. Of course, that would mean sore knees from all of that kneeling. So, I thought about how much time I spend in my garden recently and what I could do to keep my knees from getting sore – not to mention to keep my jeans from getting soiled. 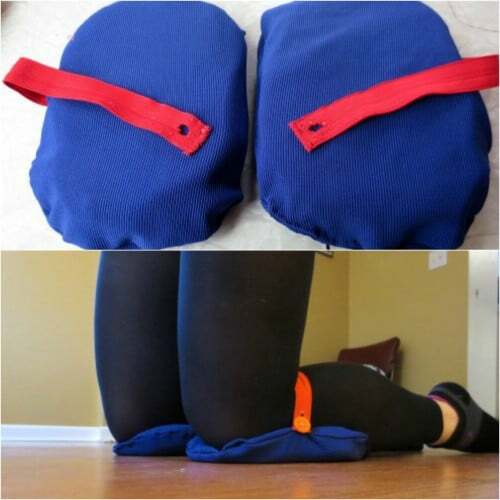 And, I found 10 of the easiest DIY garden kneeling pads. 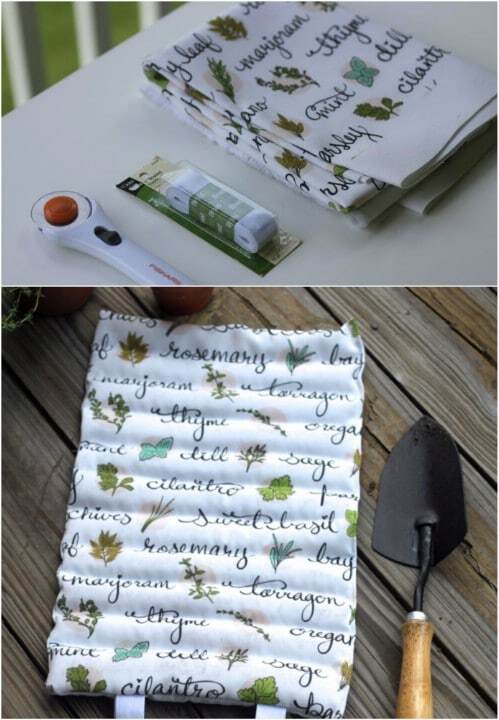 These pads are all super easy to sew and they will help to make gardening more comfortable and much more fun. I do love a good gardening project and I love a good sewing project. This one combines both! By the way, if you haven’t already, you should really check out some of the projects in these 900 free sewing projects for beginners to experts. There is literally something in here for everyone and they range in difficulty. Now, back to our garden kneeling pads. These are also really simple and perfect even if you have never sewn before. You just can’t mess these things up and they make the perfect gift if you know someone who loves to garden but would love comfort even more. You can use new fabric for these or grab that pile of scrap fabric if you want. This is a great opportunity to use up some of those scrap pieces. Even if you buy new fabric, you won’t need more than a yard for any of these and you have your choice of fillers for just about all of them. So, no matter what you like with regards to comfort for your knees, you are going to find the perfect gardening kneeling pad for you. And, you want to be sure to take a look at these 25 rustic repurposing ideas for your old gardening tools. Turn those old tools into beautiful new décor for your home and garden! 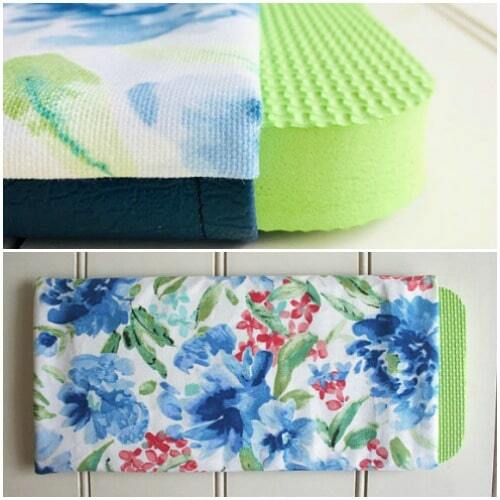 You don’t necessarily have to have just one kneeling pad in the garden. Technically, these are designed for scrubbing floors but they are perfect for the garden, too. There are two of them so you can move them about however you need to make it more comfortable while you are kneeling in the garden. And, these take very little time to make and you can sew them together from upcycled clothing. 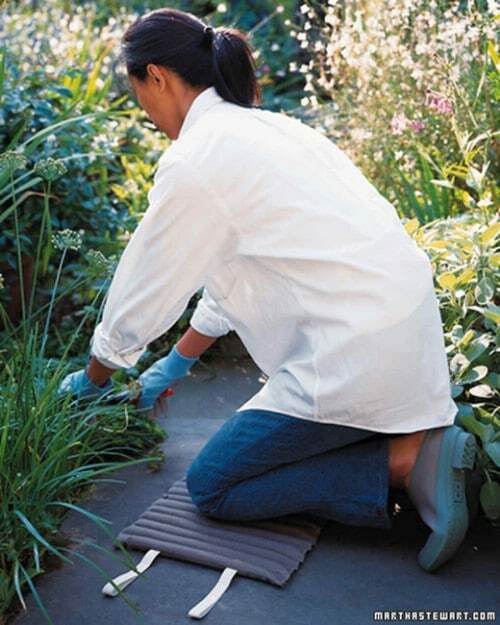 This garden kneeling pad rolls up so that you can easily carry it to and from your garden area. It is so easy to make and you only need one yard of fabric to sew it – you actually will have a bit of fabric leftover for other projects, too. You could do this with leftover scraps, too. Just sew your scraps together to create the piece that you need and then follow the pattern for the remainder of the project. 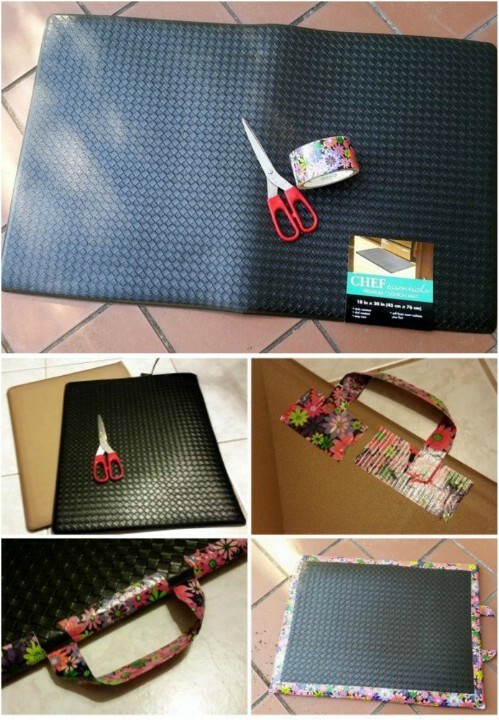 This is a great project to upcycle leftover fabric scraps. I love that this garden kneeling pad is made from a rubber kitchen mat. Not only does it help to relieve the pain from kneeling in your garden for hours at a time, it is also really easy to clean. The rubber simple wipes clean so you’re not bringing the dirt from your garden indoors with you. This one is really easy to make and it is perfect if you have a rubber mat that you want to repurpose. Foam is a wonderful filler for a garden kneeling pad. It is so soft and comfortable and will really take the stress off of your knees while you work in your garden. This one is really easy to make and you can use repurposed fabric if you have any on hand. You just need a rather large piece of foam rubber for the filler and then you just create the cover and stuff it in. You can buy polyester fill by the bagful at any craft or hobby store – or at Walmart. You can use this filling to make a really comfortable garden kneeler. This one is super easy and super fast to make. You just have to fold over your material, fill it and then sew it all together. The polyester filling is what they use to fill stuffed animals, so you know that it will be really comfortable. You can fill your DIY garden kneeling pad with any number of materials, such as rice. Rice is really pliable so you can make sure that you get it just as comfortable as you need it. 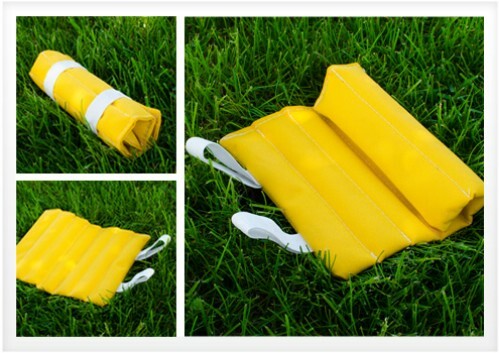 This kneeling pad in particular rolls up so it stores away without taking up any room and it is really easy to take out to the garden with you and back. You can also use flax seed or buckwheat for this one. 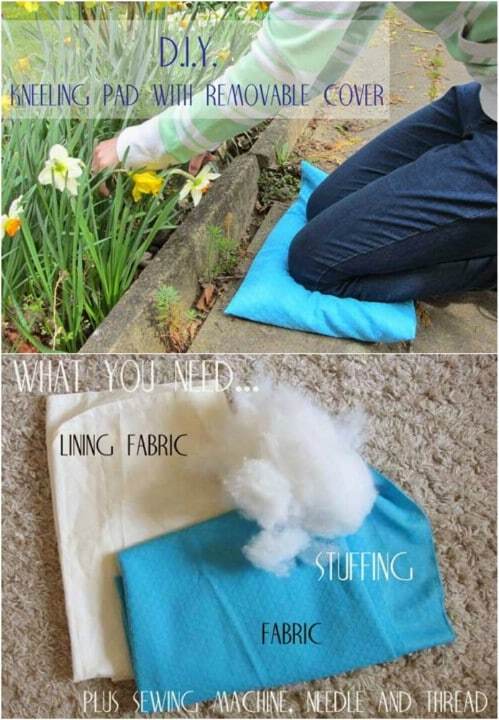 You don’t even have to go out and buy fabric to make a nice little comfortable garden kneeling pad. You can repurpose a couple of old cloth napkins and they are the perfect size for your kneeler. You just choose two napkins that are the same design – or not if you want it to be a bit eclectic – and then choose your filler and sew everything all together. You can skip the $40 price tag for a new garden kneeler and make this one for free! This is a great project to upcycle old flannel shirts, too. 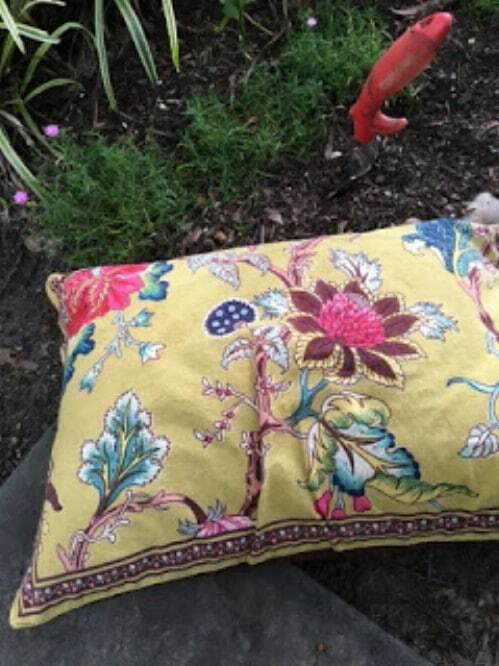 I love this comfortable garden kneeling pad that I found on Etsy. This one is made from a soft cotton material and it is gorgeous. It would make a wonderful gift. If you wanted, you could easily do this one yourself, or just grab this one on Etsy for less than $50. It has a polyester filling and a polyester waterproof backing. 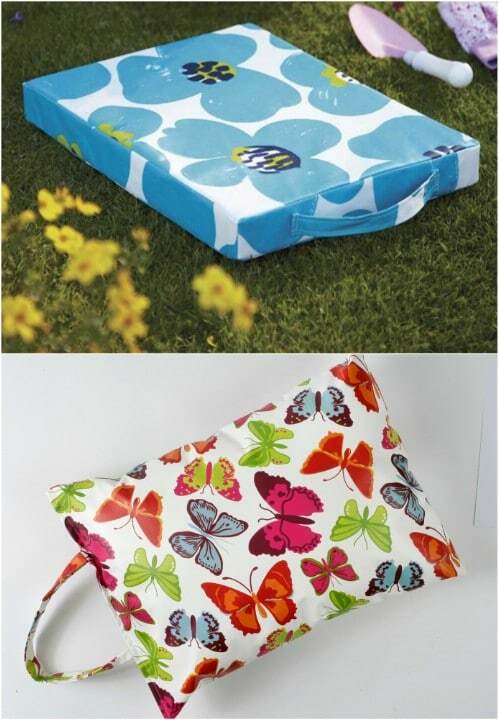 This easy to sew DIY garden kneeler has a removable cover, which makes it super easy to clean. You just take off the cover and throw it in the washing machine whenever you need to. This is an easy one to sew and you could even make a couple of covers for it so that you always have one available even when the other one is in the washer. 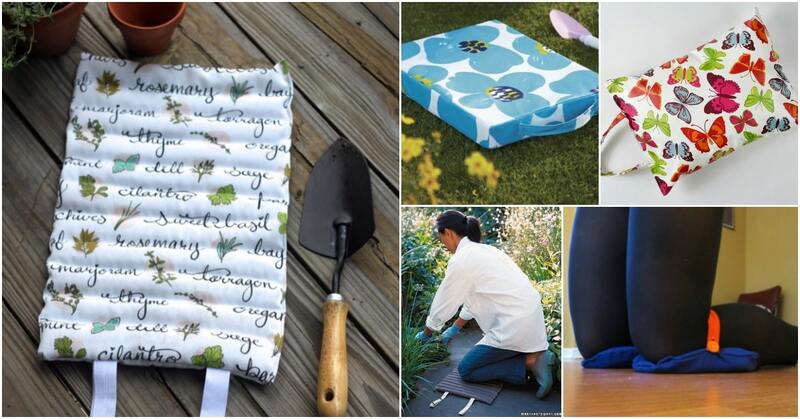 This DIY garden kneeling pad is made with sunbrella fabric. Sunbrella fabric is naturally lightweight and waterproof so you never have to worry about this one getting stained. You can just wipe it clean. This one is filled with buckwheat hulls but you could also use rice or flax seed if you prefer. It’s an easy one to make and an even easier one to keep clean.